Winters can make you gain weight. The casual snacking is the reason behind unwanted weight gain. You need a healthy snack that can help you lose weight. Managing weight is becoming a tough nut to crack. Researches reveal that more than breakfast, lunch and dinner, the casual munching and snacking makes you gain weight. Now, you cannot just quit eating or cut down on your evening snacking. You just need to find a healthy and tasty snack option. Pine nuts can be your ideal evening snack with both nutrition and taste fused in one tiny nut. Along with helping you manage your weight in winters, pine nuts have other plethora of health benefits. Here’s why you must include pine nut in your daily diet. If you are having a fistful of pine nuts in the evening, you are providing your body healthy unsaturated fats. Even studies has found that by eating pine nuts, you are replacing the saturated fats with unsaturated fats, which in turn helping you to lose weight without you having to cut down on your calorie consumption. Also, pine nuts can help you suppress your appetite. 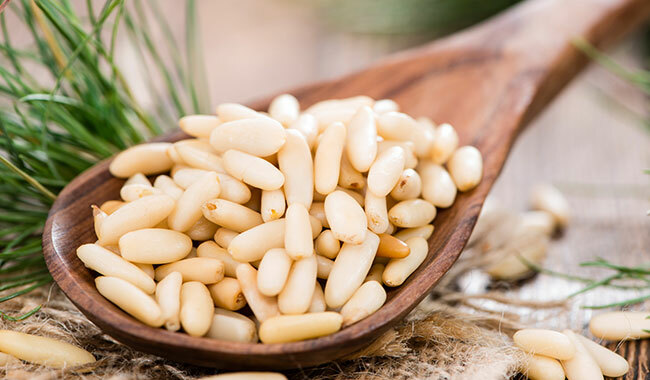 Pinolenic acid present in pine nuts stimulates the cholecystokinin, a hormone that tells the brain the stomach is full, resulting in reduced appetite. Pine nuts can reduce your food consumption by 37%. 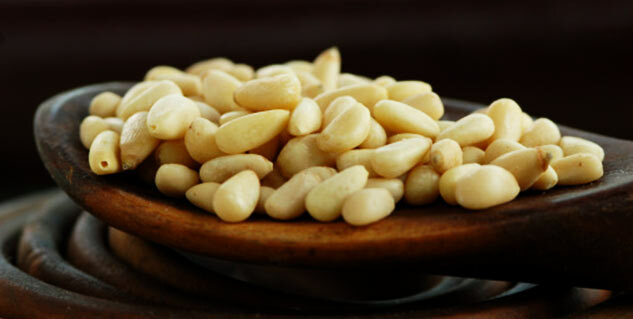 Pine nuts are a rich source of monounsaturated fats that help to reduce cholesterol in the blood. If you start having pine nuts regularly, you are providing your body with plenty of good cholesterol while reducing the bad cholesterol at the same time. A fistful of pine nuts daily can help you have a healthy blood lipid line, helping your body against artery diseases and strokes. Pine nuts have profuse amount of bet-carotene and antioxidants that help you have a good eye health. Lutein element in pine nuts can help your eyes to prevent macular damage by filtering UV light. When you age, your eyesight deteriorates but if you are having a cup of pine nuts daily, you can slow that deterioration process. Pine nuts are rich in Vitamin E and Vitamin E keeps the cell membrane of your skin intact. Also, it protects the skin from the UV rays along with maintaining the moisture level of skin. High on antioxidants, pine nuts can slow down the ageing process. The antioxidants present on pine nuts can eliminate the free radicals that promote the development of cancer and other fatal diseases.